Insurance companies are obligated to follow the law regarding cancellation and non-renewal. In 1989, the Reinkemeyers insured their home with Safeco. Between 1989 and 1993, they submitted three homeowner’s insurance claims, none of which were their fault. In 1994, Safeco told the Reikemeyers that it would not renew their policy. NRS 687B.385 Cancellation, nonrenewal or increase in premium due to claims for which insured was not at fault prohibited. An insurer shall not cancel, refuse to renew or increase the premium for renewal of a policy of motor vehicle insurance covering private passenger cars or commercial vehicles as a result of any claims made under the policy with respect to which the insured was not at fault. The insurance company responded that the legislature did not intend NRS 687B.310 et al to apply to homeowner’s insurance policies. The U.S. District Court agreed with the insurance company. The Reinkemeyers appealed to the Ninth Circuit. because homeowner’s insurance policies are contracts of casualty and property insurance, such policies are subject to the statutes pertaining to cancellations and nonrenewals of insurance policies set forth in NRS 687B.310 to 687B.420, except to the extent that a homeowner’s insurance policy might provide insurance for home protection, as defined in NRS 690B.100. (NRS 690B.100 involves Home Warranty Insurance Programs). Since this was not an Home Warranty type policy, the Nevada Supreme Court concluded that Homeowners Coverage was subject to the Cancellation and Non-Renewal provisions of NRS 687B.310 et. al. SAFECO has not cited and we have not found any decision where a federal court has disregarded, on any grounds, a state court’s answer to a certified question. Nor does SAFECO advance one of the few established grounds for disregarding state court interpretations of state law in other contexts such as where state court decisions violate federal law or are an “obvious subterfuge to evade consideration of a federal issue.” Mullaney v. Wilbur, 421 U.S. 684, 691 n. 11, 95 S.Ct. 1881, 1886 n. 11, 44 L.Ed.2d 508 (1975) (collecting cases). The Ninth Circuit remanded the case to the U.S. District Court asking it to consider NRS 687B.310 in its decision regarding the non-renewal of the Reinkemeyer’s homeowner’s policy. In fact, this is so important to the legislature, it made violations the cancellation and non-renewal provision in NRS 687B.310 – .390 or NRS 687B.410 an unfair insurance practice. 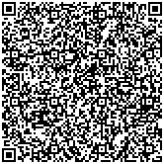 See NRS 686A.310(1)(m). 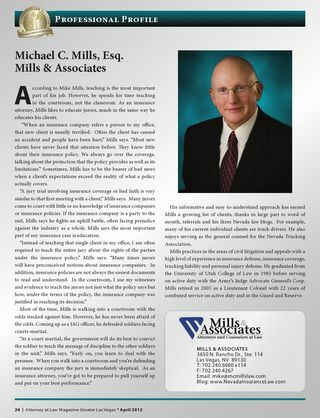 If you have questions about insurance cancellation, don’t hesitate the contact Mike Mills at Mills & Associates at 702-240-6060×114. He will be glad to consult with you.